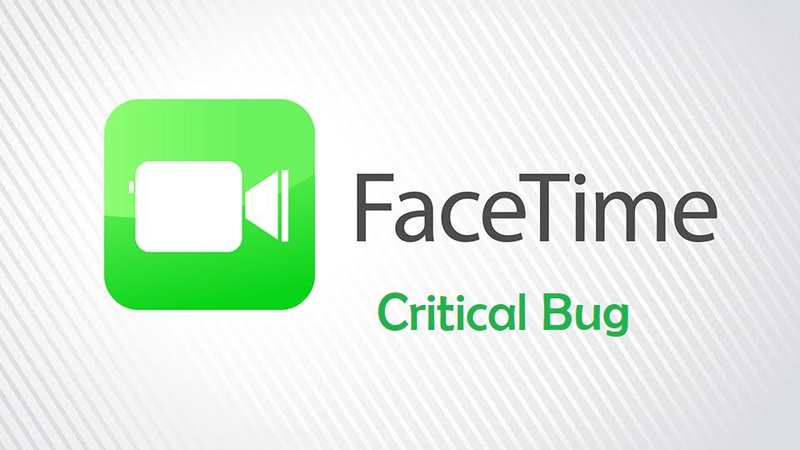 A Critical bug has been discovered in the Apple FaceTime app which allows users to access the microphone and front camera of who they are calling even if the person does not answer the call. The news of the bug was first reported by 9to5Mac where they noted about microphone snooping, but later on BuzzFeed reported that user can also access front facing camera and that too without users permissions. This means if someone is calling you on FaceTime, they could be listening and seeing what you are doing without you even knowing. Till yet it is unknown who found this flaw first but lost of users are posting about the bug with video demomonstration. To reproduce the bug, an iOS caller call another iOS user on FaceTime and before the recipient answers, add themselves as an additional contact to Group FaceTime. This will turnon the microphone of the iOS user to whom user had called, and allow the caller to listing everything. Further more, BuzzFeed noted that if called person (to whom caller called) press power button to mute FaceTime, then his/her front camera turned on which allow caller to watch whats going on. So by reading the above situation of bug you all may think of your past, and worry about the last time you did. Here is the simple steps you can followto get rid of this..
Now Toggle the switch to disable the FaceTime app. Apple stated that they are aware of bug and also identified the fix, which will be released in software update later this week. At the mean time, Apple has made Group FaceTime temporarily unavailable following this major flaw.